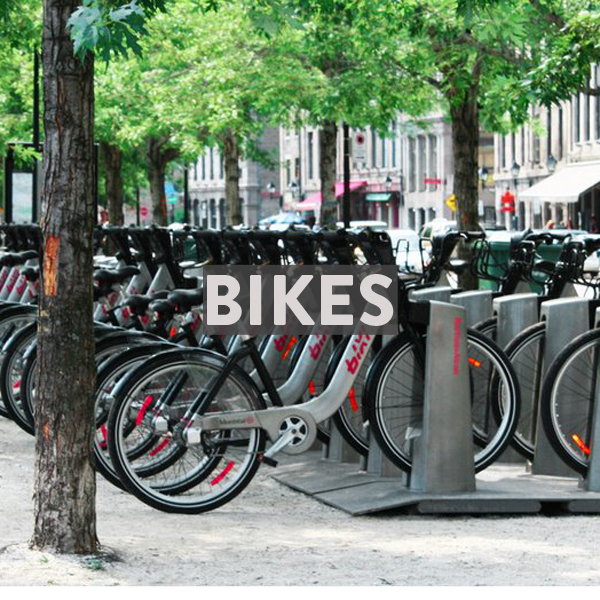 is North America's most European city for providing safe biking infrastructure and showcasing historic architecture, nightlife and vibrant culture. Bikabout's city guide has biking tips, routes curated by locals, and logistical resources you'll need to wander Montreal by bike. Since the 1970's, when Toronto surpassed it in population and economic power, Montreal is now only the second largest city in Canada, but it remains the cultural epicenter of the country. Mount Royal dominates the skyline in one direction, and parks are everywhere. Downtown has a particularly old-world European look to it, with cobblestone streets and block after block of intact architecture from different periods of the 1800s. Night life in the summer is especially boisterous, likely because residents are making for up their winter hibernations. Fortunately for the would-be cyclist, the streets are laid out in a wonderfully logical grid, which allows a plaid-like system of alternating priorities to allow bikes to take priority on one street, and cars on the next parallel street. This sets everyone up to be able to get where they're going with minimal need to accommodate the different speed and size of different types of vehicles. Most of the bike infrastructure that we encountered was honest separated cycle track, as well, which makes cycle transit effortless and safe. 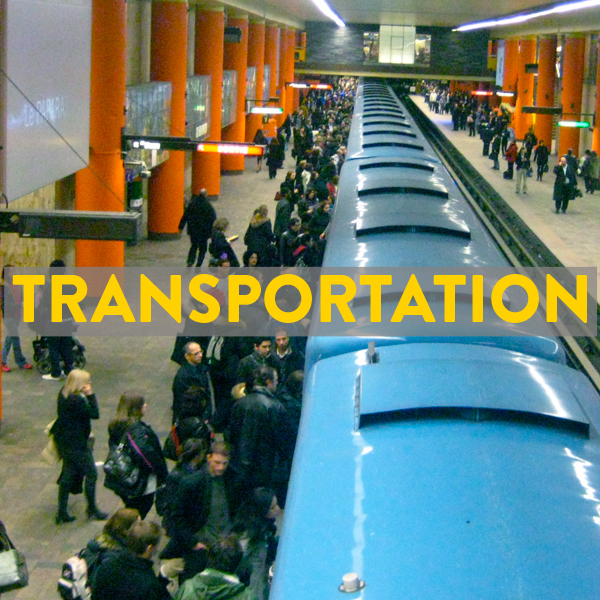 Montreal felt the most like the Netherlands of any city in North America, in terms of transportation balance and "non-car" normalcy. We saw more kinds of people do more kinds of things by bike at all hours of the day here than we did anywhere else on this continent. This is in keeping with Montreal's reputation as the most European city in Canada, and indeed it often looks the part as well as feeling it. With so many locals also riding (and knowing better where they're going than you do, and possibly being in a hurry to get to work etc, as opposed to you and your relaxed sight seeing), you'd probably be best sticking to the right side of the cycle tracks and letting locals pass on your left. The minimal helmet usage is a testament to how safe it feels (and is) to ride here. Even at night, there are always so many other cyclists out that you're almost always part of a highly visible stream, instead of being a lone example. The infrastructure here is so good that you'll find stress-free routes to just about everything you could want to visit by bike. As with seemingly all cities with dense ridership, there's also a healthy bike theft scene here, so bring the bike inside at night if even remotely possible. During the day, lock to an actual bike rack using a u-lock or high-quality chain, and not something flimsy with a combination lock on it, to make sure your bike is harder to steal than others on the rack... As the saying goes, you don't have to out run the bear, you just have to outrun your companions. These routes were curated by local Montreal folk who wanted to share their #BestBikeRide with you. Print off the map for free! If you're interested in curating your favorite bike ride, inquire as an ambassador. Montrealers call it “the mountain.” Really it’s a big hill, and no trip to Montreal would be complete without making it up the city’s famous icon through one of its loveliest parks. Our favorite way of getting up there is of course by bike, along the wide gravel path through the park designed by Frederick Law Olmsted (the same Olmsted who designed New York City’s Central Park). Spade & Palacio - $60+ includes their famed pink bikes. Tour themes are all off the beaten path style. 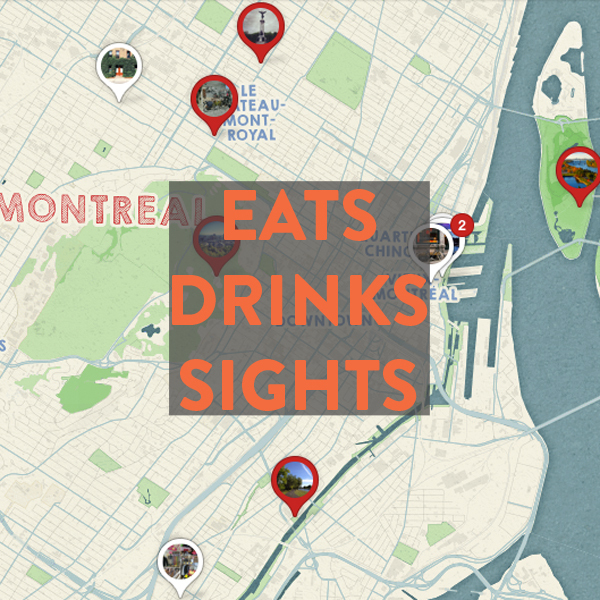 We're constantly updating this list of our favorite bike shops, coffee shops, restaurants, museums, scenic vistas, playgrounds, ice cream, microbreweries and more in Montreal! Via Rail (Jonquière - Kingston - La Tuque -Senneterre - Toronto) - $25 roll on service. Racks accommodate 12 bikes. Bikabout donates 25% of annual revenue to local advocates. You, too, can power better biking in Montreal by becoming a member of any of the Montreal Bike Coalition!